According to the Bloomberg.com Billionaire Index, Amazon.com founder and CEO is now officially one of the world's ten richest people. Last week, Amazon.com dazzled investors with its Q1/2015 earnings. Investors snapped up shares of the company after the report, sending the company to a new all-time high and a valuation of over $200 billion. One share of Amazon.com will now cost you $438.56, which is a far cry from the single digits that were seen after the "dot-com bubble" burst back in the spring of 2000. Jeff Bezos has been the biggest beneficiary of this move higher, as his total net worth has soared to approximately $40 billion. 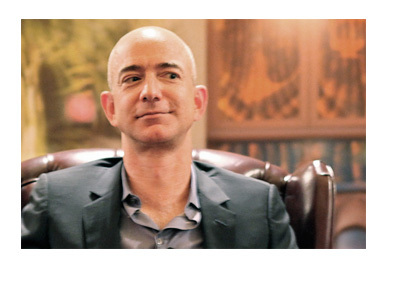 According to our best guess, Bezos' net worth sat at $39,820,711,700 as of the time that this article was written. Bezos' explosion in his net worth over the past ten years or so brings him into some pretty rarefied air. According to Bloomberg, Bezos is now the tenth richest person in the world, vaulting past the likes of Jim Walton, Alice Walton and Mark Zuckerberg. Given Amazon.com's status and Bezos' desire to constantly innovate, many believe that the Amazon CEO's net worth will continue to grow in the years ahead. From handheld reading devices to drones delivering packages to same-day (and even same-hour, in some cases) shipping, Bezos is not afraid to test something new, even if it brings about the possibility of looking foolish.